As part of the 20th annual National Work Zone Awareness Week observed April 8-12, 2019, the state of Georgia, local government organizations, and employers are partnering with OSHA to hold safety stand-down events focused on driving safely through construction work zones. The Georgia Department of Transportation (GDOT) says the events are intended to promote federal, state and local agencies, organizations, companies, and individuals to work together and take responsibility for keeping roadway workers and those traveling safe in work zones. GDOT notes that the top causes for fatal work zone crashes are distraction, driving too fast for conditions, and driver impairment (under the influence of alcohol or drugs, or fatigued). According to the Georgia Struck-By Alliance, distracted driving results in nearly 3,000 deaths and 400,000 injuries every year at the national level. 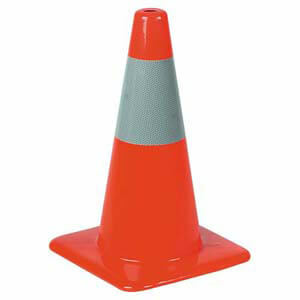 J. J. Keller's Work Zone Traffic Control Devices clearly identify work zones to help keep workers safe.